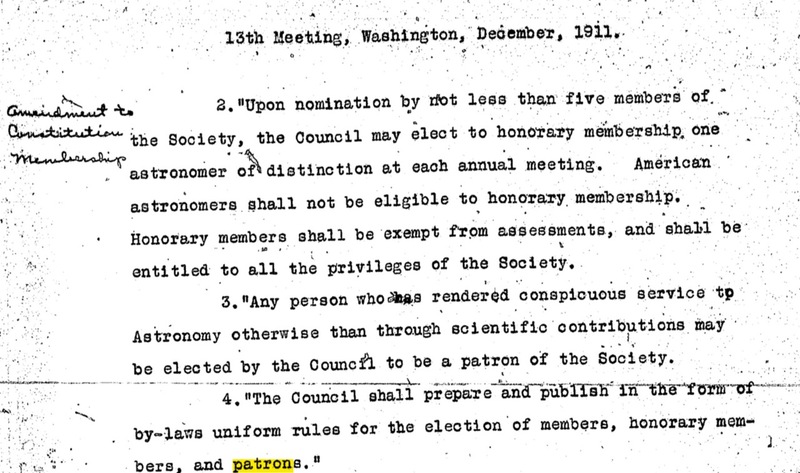 Nominations for honorary membership may be submitted at any time throughout the year to the AAS Secretary and should be signed by no fewer than five members of the Society. The following list of Honorary Members elected since the Society was founded is incomplete; we are scouring the Society's historical documentation to look for any Honorary Members we may have overlooked. If you know of any Honorary Member who is not on this list, please send an email with their name and year of election (if known) to aas@aas.org.